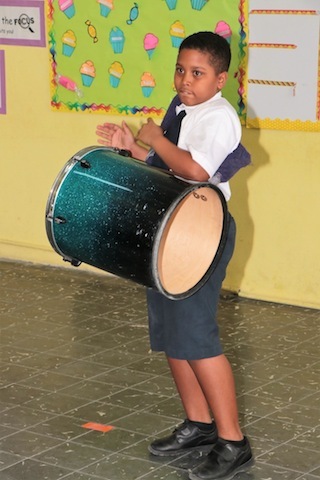 Tarpum Bay Primary School students Alvardo Johnson, Emmanuel Brice, and Ronald Carey showcase Junkanoo drumming skills, exploring the complexity of Junkanoo rhythms, on February 7, 2019 during the E. Clement Bethel National Arts Festival adjudications at the school. 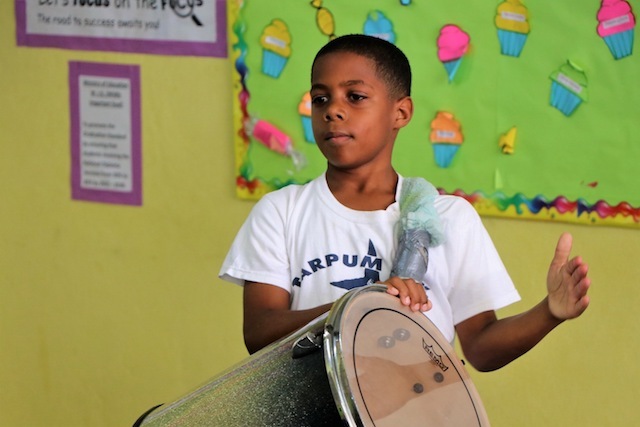 The festival began February 4, and will end May 17, 2019. 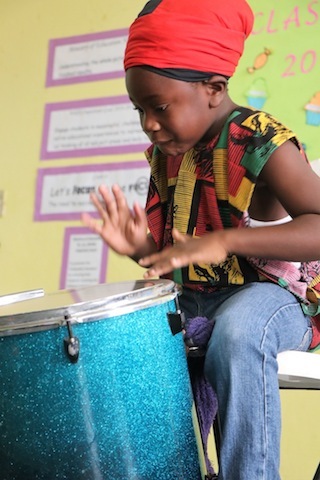 This year, the Ministry of Youth, Sports and Culture endeavours to expand the festival beyond the schools into the greater communities of the Bahama Islands -- as a platform for artists of all ages and genres.